I just read an interesting article the other day. 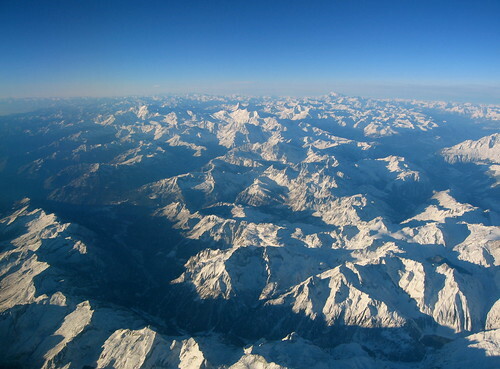 According to www.marketresearch.com, Switzerland is one of the most frequently traveled countries in all of Europe. That stat to me was a bit surprising to me, as I would have expected the big countries of Great Britian, France and Germany would take top honors, especially with their iconic buildings and historical sites. However, it's quite hard to argue with the natural beauty of Switzerland, something that in my opinion is unrivaled in all of Europe. The Swiss Alps are one of the most beautiful mountain ranges in the world, and are frequented by the outdoorsy type from all over the world. Switzerland is also a relatively inexpensive country to travel across as well. Many hostels like this hostel in Interlaken Switzerland are on the affordable side for travelers looking to get the most value out of their traveling experience. The Swiss franc has also gained 24% against the euro since 2009, giving Switzerland a nice economic boost relative to their European neighbors.